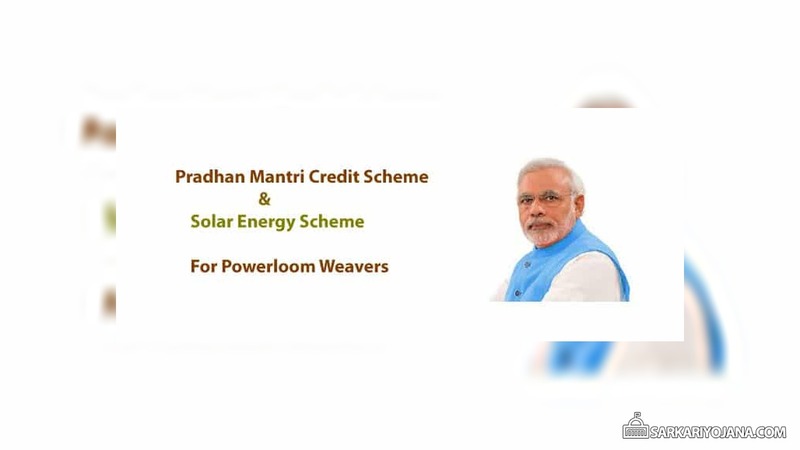 The central government has announced a subsidy scheme for Powerloom weavers under the Pradhan Mantri Credit Scheme. Under the scheme, the Powerloom weavers will get the financial assistance up to 90 percent. Moreover, the government has also announced technology up-gradation plan for India’s ailing powerloom sector. Accordingly, the beneficiary will get margin money subsidy of up to 20 percent of the project cost. Moreover, the government will also provide the long-term loan facility at 6 percent interest. The government has adopted Sustainable and Accelerated Adoption of efficient Textile technologies to Help small Industries (SAATHI) technology up-gradation plan for the ailing powerloom sector in the country. The government is expecting that their announcement will provide benefit around 2.5 million Powerloom units across the country. As per data, these 2.5 million units produces 57 percent of the total cloth in the country. The government has urged that efficiently use of equipment will help to energy savings and cost savings to the powerloom units. In addition, the result of energy savings and cost savings will help the owner of powerloon unit to repay their loan instalments to EESL (Energy Efficient Services Limited) within a three to four year period. The owners of powerloom units will get the subsidy to the extent of 20 percent of the project cost, with a ceiling of Rs. 1 lakh. In addition, the government will also provide the loan facility up to Rs. 10 lakh at 6 percent interest for the duration of five years. The powerloom units will get finance assist who would install the solar panel in their units. Moreover, the solar energy scheme will help for small powerloom units. The installation of solar panel will help the unit to pay back bank loans within three to four years. The powerloom units which have maximum eight looms will get 50 % subsidy for installing solar panels whether be it on grid or off grid system. The government has informed that they launched several promotional schemes for powerloom textiles industries but there is not enough awareness about the existing scheme. However, the maximum benefit of these schemes is being taken by entrepreneurs of Gujarat and Tamil Nadu. According to the official data, out of the 2.5 million powerlooms, 50 percent are in Maharashtra state. In addition, around 108 powerloom clusters and 72 textile parks are working at present in the country. I there any office in Maharashtra to contact and get information how to apply and which doc is required to get the benefit of the scheme. I am from Dhule Maharashtra. साहब जी बैक किसी को लोन देकर राजी ही नही ! मेरी फाईळ 3 महीने से बैक मे पडी है लेकिन मै सुलझा व्यक्ति इतनी प्रेशानी का सामना कर रहा हुँ औऱ जब काम होगा तब जाने ! आम आदमी को कहा रास्ता !